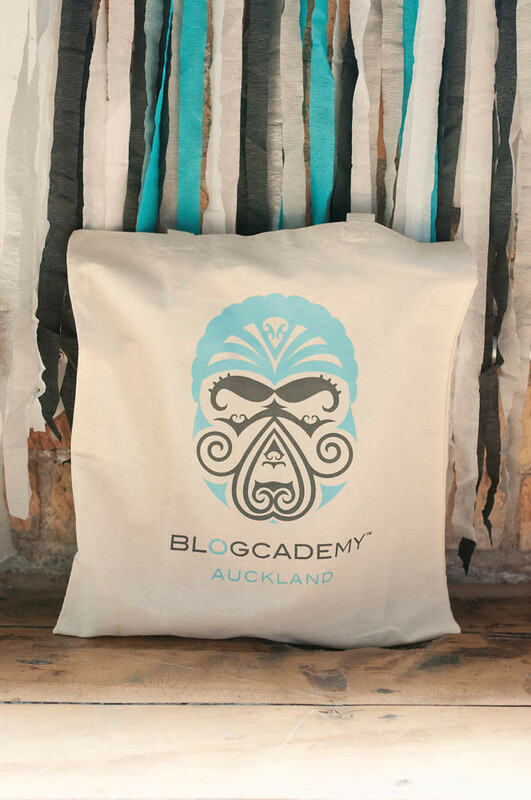 Blogcademy Auckland: Kiwis Taking Over! I can’t even begin to describe how thrilling it was to bring The Blogcademy to my homeland, New Zealand. I was beyond excited to show Shauna and Kat where I grew up, and introduce them to some rad Kiwis! 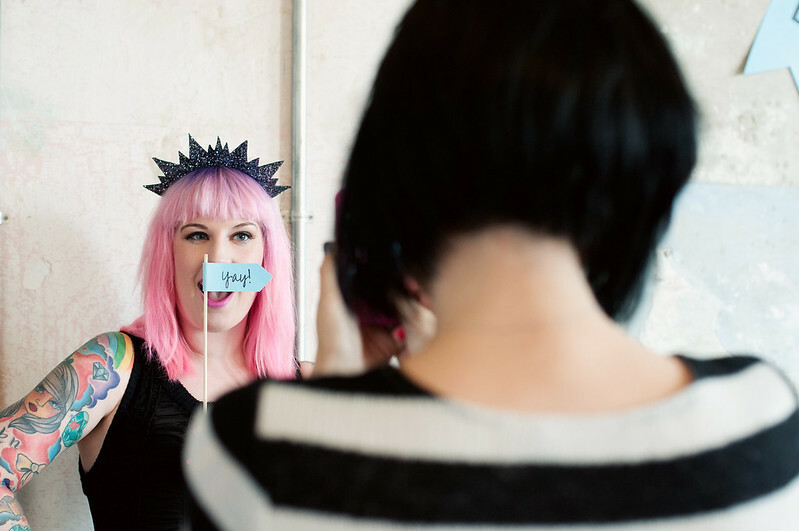 Thankfully — but not surprisingly — our NZ blogcadettes were a damn good crop. They did me proud! Class was held at the undeniably cool Generator, down near Britomart. I left Auckland in 2006, and it’s incredible to see how much the area has changed, developed and evolved in that time. What a cool little area! 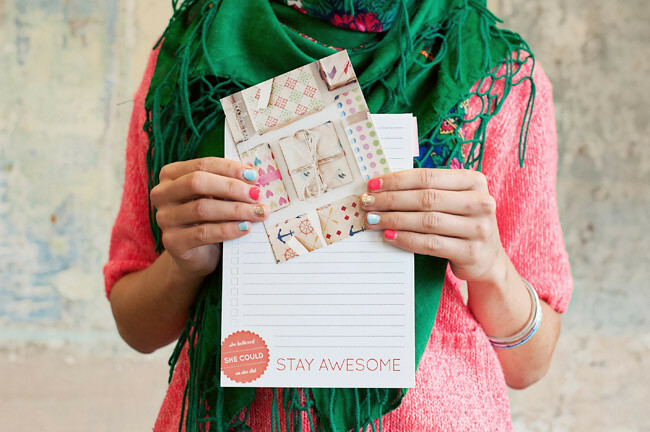 We loved these postcards from Love Ideas Ink. A good life motto, I think! 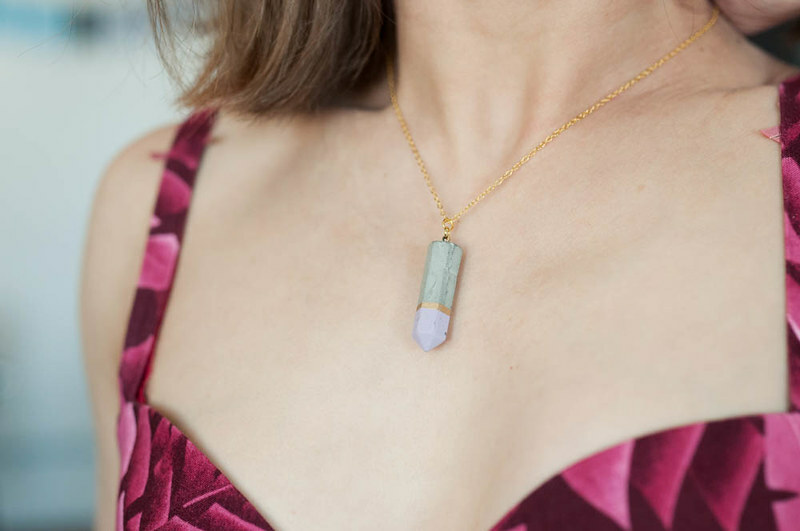 Cocorrina sent us necklaces all the way from Greece. They’re so beautiful, and yes, made from concrete! Fantail brooches from Native Creative. How Kiwi is that?! 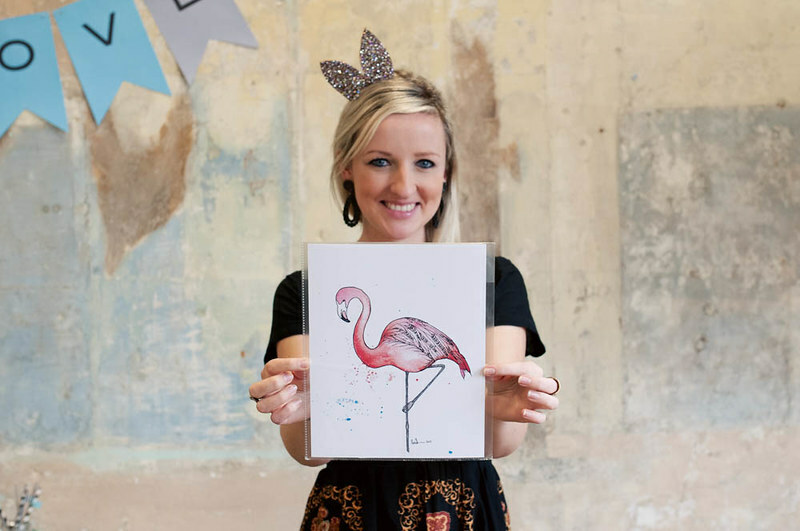 One of our blogcadettes, Bec from Clouds of Colour, supplied art prints for every blogcadette. Cute striped flags from Wink! 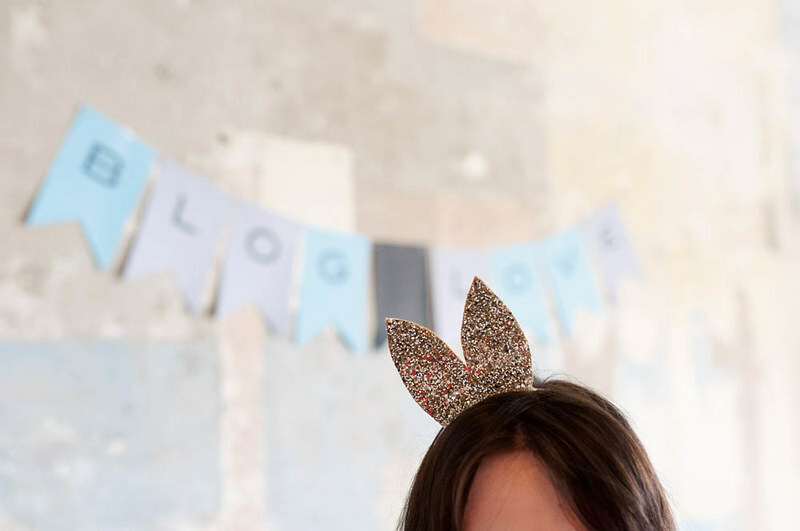 They supplied us with all the decor, including our adorable BLOG LOVE banner! 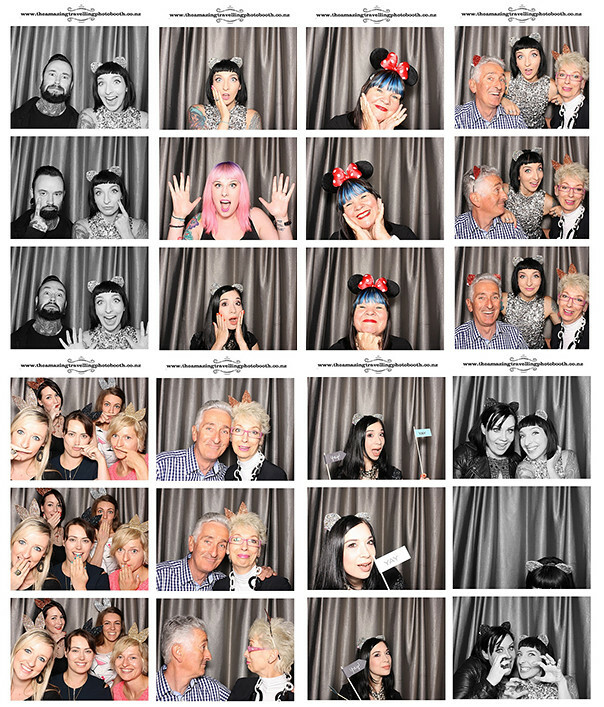 I can never say no to a photobooth. The Amazing Travelling Photobooth was stationed at the venue, ready to capture every silly moment! 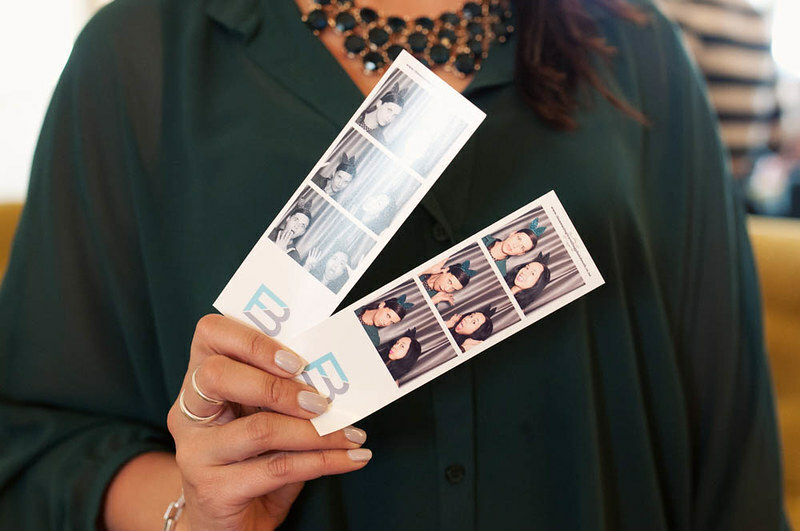 Of course, the photobooth was a huge hit. My parents came along to class, and it was great to have them there. I love this picture of Mama Darling in her Crown And Glory ears! Toodles Noodles supplied everyone with a damn fine notebook. We loved seeing these happy faces in our front row. More photobooth antics. Oh, if that curtain could talk! We were thrilled to have Leonie join us. What a sweetie! 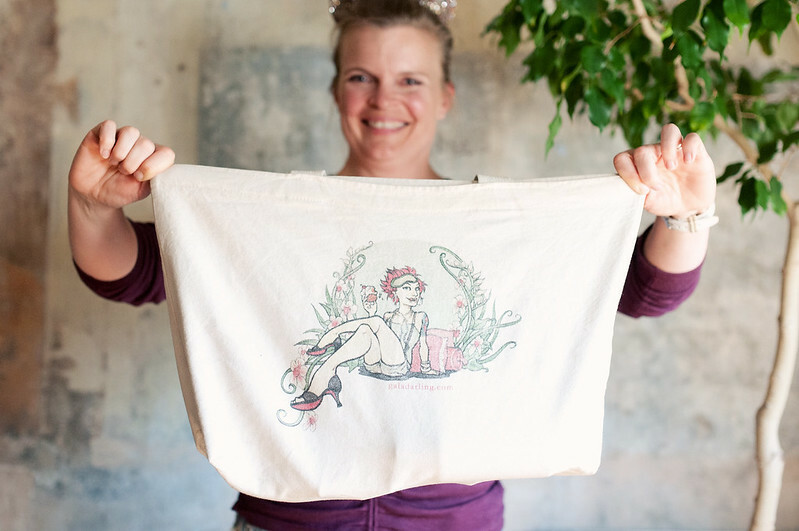 I was amazed when Nadine showed up with this tote bag! Blast from the PAST! What an awesome group of women! Our class in Auckland was such a raging success that we’re coming back in December! Be sure to grab your ticket if you want in! Photos by Eleanor from Jel Photography. Video by Craft Workshop. « Surviving The Tyranny Of Valentine’s Day… Can It Be Done? !